Indiana Michigan Power (I&M) will use drones to inspect transmission lines…. I&M is contracting with Asymmetric Technologies. The Fiber Optic Sensing Association (FOSA), the world’s premier fiber optic sensing trade association, released details on more than 1,300 installations of distributed fiber optic sensing (DFOS) around the world. The November 2107 data reflects the largest representative sample ever published. FOSA officer slate for 2018: Greg Williams, Prysmian, was elected to the Board, and Geoffroy Lacoin, Omnisens, Gordon Youle, OZ Optics, and Vivek Caroli, Frauscher Sensor Technology USA, Inc. were reelected, to serve 2-year terms. Mike Hines Mike Hines of OFS, rose from Vice Chair to Chair. 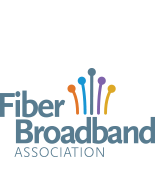 The Fiber Optic Sensing Association (FOSA), the world’s premier fiber optic sensing trade association, today released details on more than 1,300 installations of distributed fiber optic sensing (DFOS) around the world. The data reflects the largest representative sample ever published. What is Distributed Fiber Optic Sensing? Distributed and quasi-distributed fiber optic sensors are systems that connect opto-electronic interrogators to an optical fiber (or cable), converting the fiber to an array of distributed sensors.